The mysterious Tabib al-Bahr, the “Doctor of the Sea”, is found in the writings of the alchemist Jabir ibn Hayyan. Its appearance is not very clear; we know that it is a fish with a yellow gemstone in its forehead, and that it is also human in shape. This marine animal, despite its considerable magical powers, is very caring and altruistic. It derives its name from the gemstone in its head, which can heal any ailment; it attends to other sea creatures by rubbing its head twice or thrice on their injuries, healing them instantly. Perhaps because of this self-sacrificing nature, the tabibs also do not resist capture by humans, instead waiting patiently for the right time to escape. The gemstone of a tabib al-bahr is of great value to alchemy. If the creature is slaughtered and its stone taken out of its head, it can be used to create gold out of silver. It was that gemstone that drew Jabir ibn Hayyan into seeking out the tabib al-bahr. After enlisting the aid of a number of skilled sailors, Jabir set sail into the Indian Ocean. He eventually found a group of tabib al-bahrs near the unknown island of Sindiyyāt. The net was cast, and one of the creatures was caught. 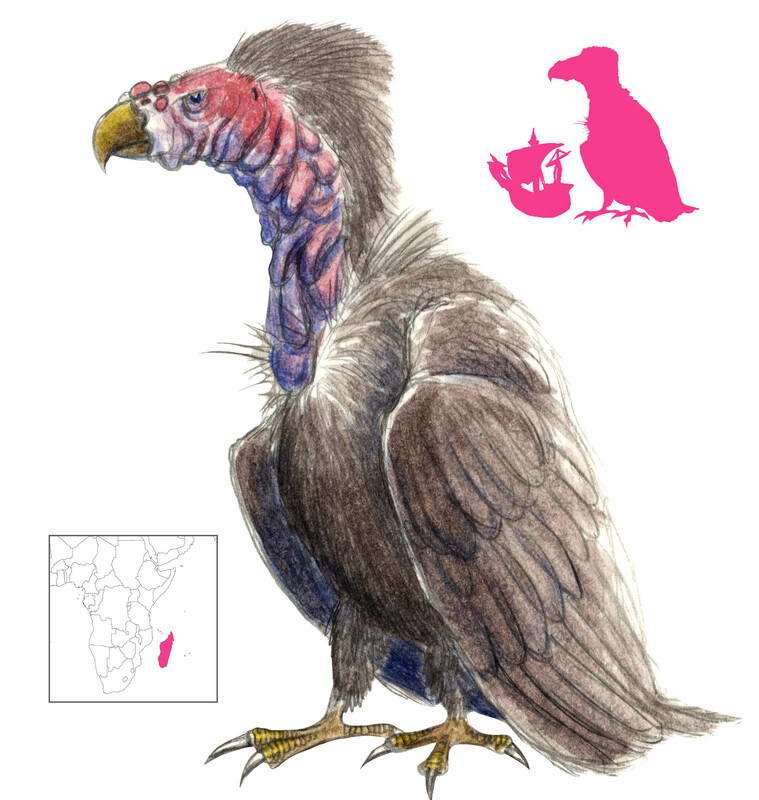 It started striking its cheeks in a feminine act of desperation, and Jabir realized that the tabib they had caught was a young woman of great beauty. She was taken on board and imprisoned in a small cabin; she seemed incapable of speech beyond mumbling in an unknown language. Jabir was given the chance to test her powers by bringing in a sailor with torticollis. After the tabib rubbed her gemstone on his arms and legs, he was immediately cured. This situation was not to last long. One of the sailors, a young man, fell in love with the strange creature, and Jabir allowed them to live together in the cabin. Eventually she became pregnant and gave birth to a boy, human in all aspects except for a marvelous, shining forehead. As the boy grew, the mother was eventually given free reign of the boat, as she seemed attached to the crew, keeping them company, tending to their injuries, and caring for her son. Unfortunately that was not the case, and after a long inspection of all possible escape routes, she finally climbed over the railing and dove into the water. Her husband was brokenhearted, but he swore to care for the son she left behind. Eventually the ship sailed into a storm from which there seemed to be no escape. Throwing anchors into the water did nothing to hold the ship, and it was on the verge of capsizing. That was when they saw their tabib al-bahr sitting calmly on the surface and waving to them. All the sailors begged her to save them, and in response she transformed into a colossal fish, big enough to stretch from one end of the sea to the other. By swallowing huge quantities of seawater, she lowered the sea level enough for the storm to be quelled. While the sailors worried over whether or not she’d swallow them next, her son dove into the sea after her. The next day he returned to the ship, and his forehead now had a yellow gemstone in it. Later on Jabir had the opportunity to catch two more tabib al-bahrs, one of which was sacrificed for its gemstone. Jabir marveled at it, a wondrous artifact the likes of which humans would never make. This tale may not be meant literally, and it has generally been taken as some kind of alchemical allegory. His scribes agreed, noting that it is “very symbolic”, with elements representative of fire and water. The alchemist-poet Ibn Arfa’ra’sahu dedicated several verses to the tabib al-bahr, saying that “the truest of scientists have vouched for it, Plato and his student Aristotle”. Mahmud, Z. N. (1961) Jabir ibn Hayyan. Maktabat Misr. Kraus, P. (1986) Jabir Ibn Hayyan : Contribution à l’historie des idées scientifiques dans l’Islam. Société d’Édition Les Belles Lettres, Paris. According to al-Qazwini, the Sirānis can be found in the undergrowth of Kabul and Zabulistan. 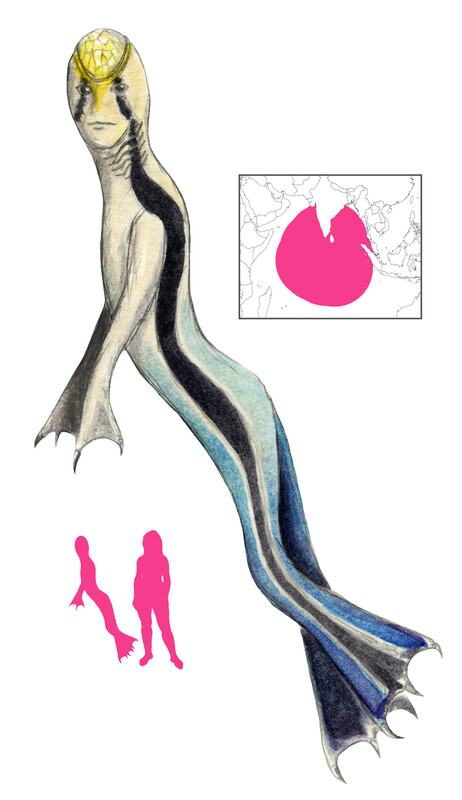 Its name is derived from the Greek siren, from which the sirānis evolved beyond recognition. Originally the sirānis was believed to be a marine animal with seven openings in its mouth, and which used its seven toes to play its snout like a musical instrument. This description, in turn, came to be that of the Qaqnus or Arghun, which was known by the same name as well. Sirinā was also the name of a system of walls with holes in them that replicated the call of the sirānis, and which was used by the Byzantines to attract and capture that animal. 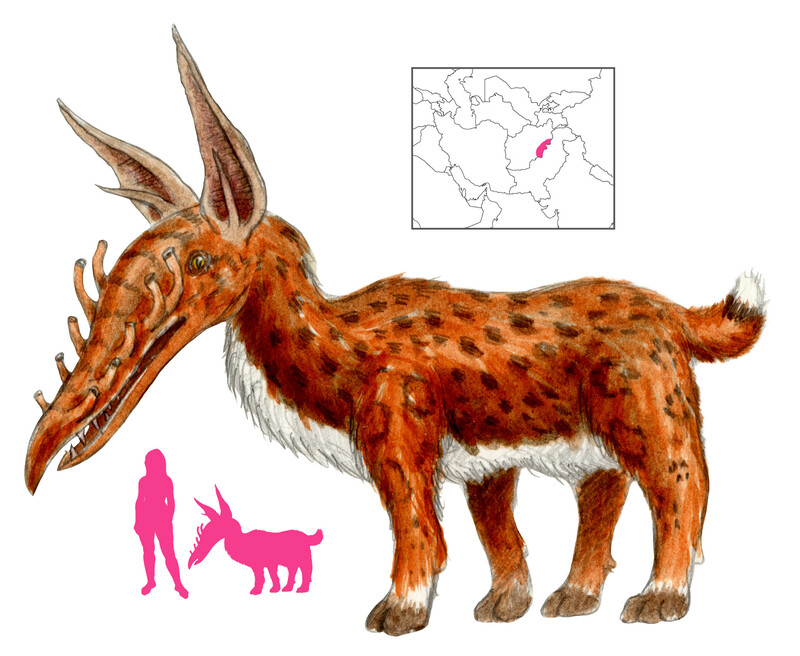 Al-Qazwini, however, places the sirānis firmly on land as a carnivorous mammal with 12 openings in its snout. When it breathes, those orifices produce a pleasant sound like that of the mizmar or flute; indeed, it is said that it was the inspiration for the musical instruments. A sirānis uses its musical prowess to capture prey. It produces a melody so entrancing that animals gather around it and swoon in wonder, giving the sirānis an open buffet to choose from. If none of the animals present are satisfactory, it lets out an earsplitting screech that scares its audience away. In time, the proximity of the sirānis to the shādawār in al-Qazwini’s text led later authors to combine them, granting the more iconographically defined shādawār the predatory nature of the sirānis. Contadini, A. Musical Beasts: The Swan-Phoenix in the Ibn Bakhtishu’ Bestiaries. In O, Kane, B. (2005) The Iconography of Islamic Art. Edinburgh University Press. Contadini, A. (2012) A World of Beasts: A Thirteenth-Century Illustrated Arabic Book on Animals (the Kitab Na’t al-Hayawan) in the Ibn Bakhtishu’ Tradition. Brill, Leiden. Ettinghausen, R. (1950) The Unicorn. Studies in Muslim Iconography, Freer Gallery of Art Occasional Papers Vol. 1, No. 3, Washington. Shahmat al-Ard, the “fat of the earth” or “grease of the earth”, is a worm that contracts into a bead if touched. Al-Qazwini, who called it the Kharȃti, said that it was long, red, and lived in damp areas. 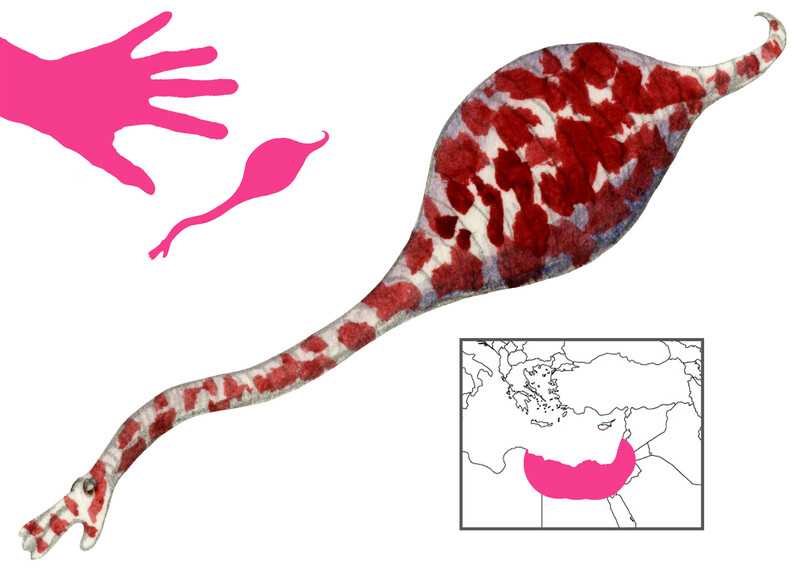 On the other hand, al-Zamakshari believed it to be small, white, speckled with red spots, and resembling both a white fish and the hand of a woman. Hurmus said that it smelled good, and was immune to fire, being capable of crawling through a bonfire unharmed. Its primary value is in the variety of medicinal benefits it provides. Its fat, if painted onto one’s skin, will protect from fire. The entire worm, dried and eaten, cures jaundice and scrofula; dried and taken with water, causes immediate delivery in the case of a difficult birth. Roasted and eaten with bread, it dissolves bladder-stones. A shahmat al-ard reduced to ashes, mixed with oil, and applied to the head will cure alopecia and restore hair growth. Nonetheless it is not generally eaten, since as a filthy worm it is unclean and unfit for human consumption. The earliest references to the musical-horned unicorn are given by Jabir Ibn Hayyan, around 900 A.D., where it is referred to as the Aras. It was given its most popular incarnation as the Shādawār by Al-Qazwini, which was subsequently copied with modifications by Al-Damiri and Al-Mustawfi. It was found in the farthest reaches of Bilad al-Rum, the Byzantine Empire, a vague location which to Al-Qazwini must have sounded remote. Exactly how the shādawār’s name should be written and pronounced is unclear. Its writing has varied from author to author and manuscript to manuscript, sometimes starting with a Sā instead of a Shā, with the middle consonant being either a d or a dh (pronounced “the”), and ending in wār (Arabic) or vār (Persian). The spelling chosen here is ultimately arbitrary and based on Ettinghausen and Jayakar’s recommendations, and the most prevalent transliterations. 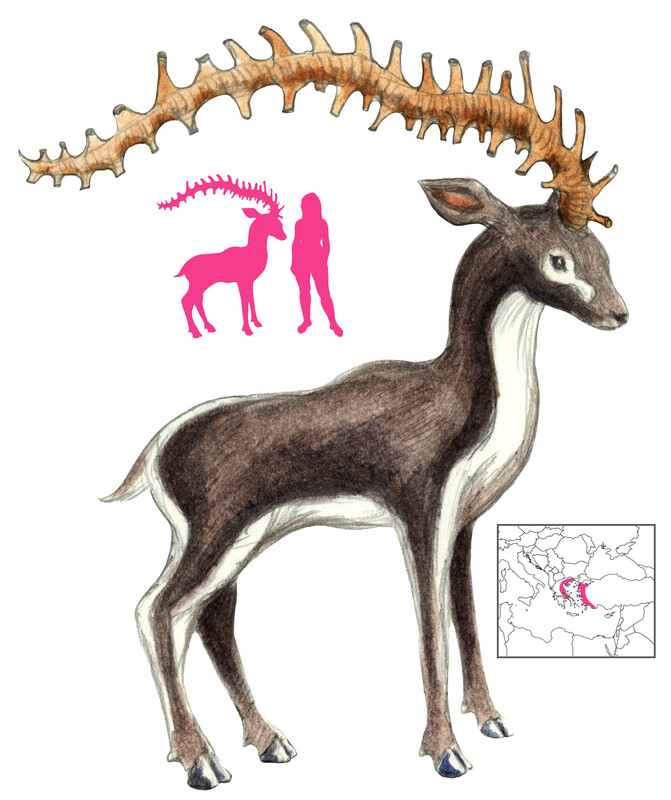 The name is of unknown origin, but Hayyan’s aras is probably derived from “oryx”. 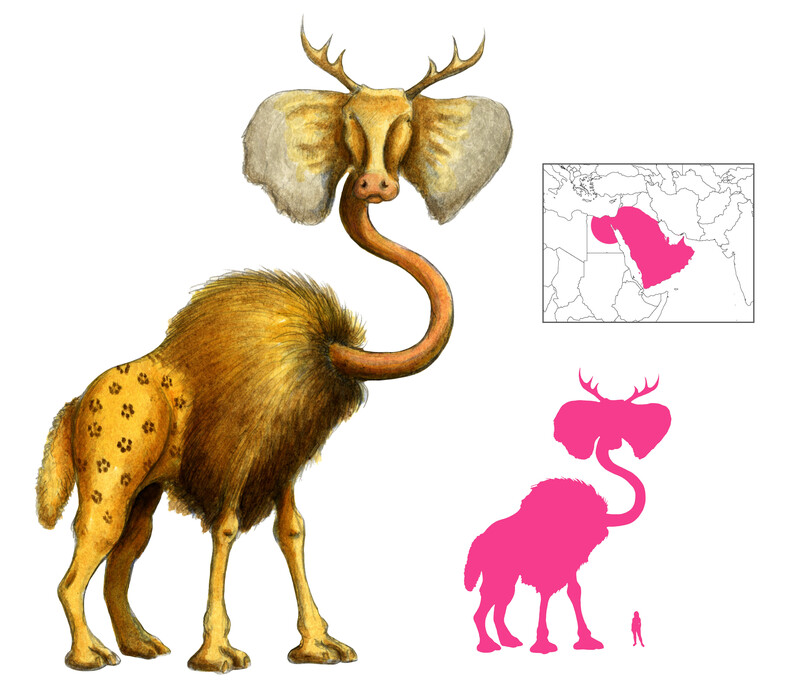 Unlike the more rhinocerine karkadann, the shādawār is an antelope-like ungulate with a single horn, but in this case it is long and hollow. There are forty-two hollow branches in the horn, and wind whistling through these flute-like holes results in beautiful, stirring melodies, so lovely that other animals will gather around to listen. Shādawār horns were offered to kings, who would hang them up as musical intruments. Depending on the angle they were held at, they would produce an enthralling tune or a sad dirge that moved all listeners to tears. The shādawār has been incorrectly described as a flesh-eater, using its music to attract potential prey. In fact, Al-Qazwini makes no mention of any carnivorous tendencies. Al-Mustawfi, however, combines Al-Qazwini’s account of the shādawār with that of the carnivorous Sirānis immediately preceding it. It is the sirānis that lures prey to it with its music, and not the herbivorous shādawār. el-Cheikh, N. M. Byzantium through the Islamic Prism from the Twelfth to the Thirteenth Century. In Laiou, A. E. and Mottahedeh, R. P. (2001) The Crusades from the Perspective of Byzantium and the Muslim World. Dumbarton Oaks Research Library and Collection, Washington, D. C.
Jayakar, A. S. G. (1908) ad-Damiri’s Hayat al-Hayawan (A Zoological Lexicon). Luzac and Co., London. Saratan is Arabic for crab. It also means cancer, in the same way as cancer is Latin for crab. Hence, every use of the word saratan here can be replaced with “crab”. Al-Jahiz knows what crabs are. He talks about how crabs have eight legs and two “teeth” which give the appearance of ten legs. They have eyes on their back. They live in water or burrows on the shore, where they lay their eggs, and feed out of greed instead of necessity. 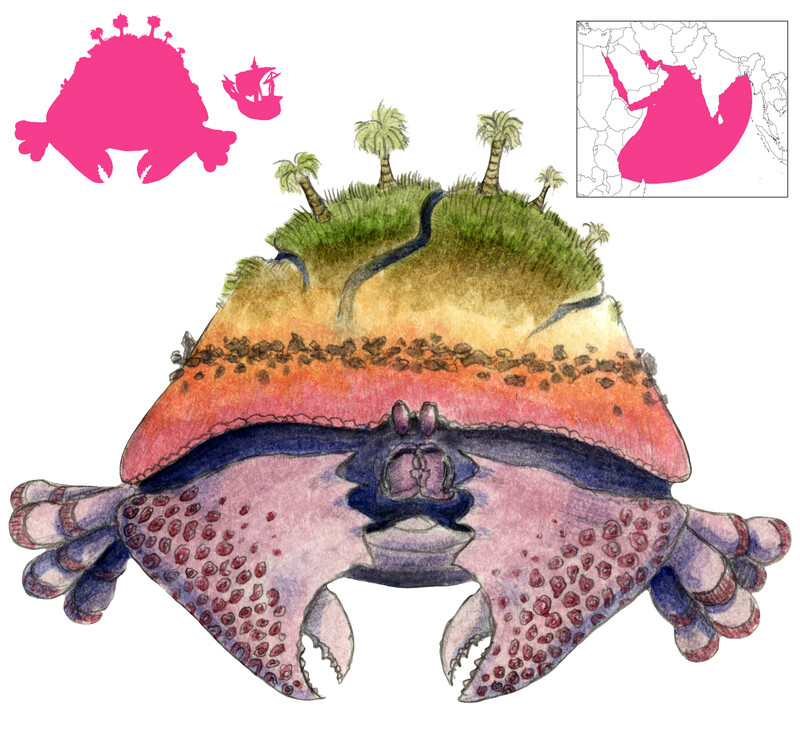 But the “crab” he describes at one point is enormous in size and lives in the open ocean. Vegetation grows on its back as it rests on the surface. Cracks and crevices in its shell look like gullies and rivers. It is this monster that sleeps in the middle of the ocean until sailors land on it, mistaking it for an island. Then it awakens and dives underwater, drowning anyone incapable of swimming back to ship. Al-Jahiz does concede that he cannot find anyone who claims to have seen this monster. “What is the most wondrous thing you have ever seen?” Al-Jahiz and a group of friends ponder this question. “The elephant”, comes one response. “The soul”. “Sleep and awakening”. “Forgetfulness and memory”. “Fire”. “The belly of the cosmos”. Another of the scholars present expresses his amazement with the elephant. Finally, Ma’bad bin ‘Omar states “The saratan and the ostrich are greater miracles than the elephant”. Elsewhere Al-Jahiz goes on to add “The greatest of God’s creations are the snake and the saratan and the fish”, and “The greatest animals created are the fish and the saratan”. It is strange that the saratan is popularly known as “zaratan”, and described as a whale or turtle. The blame for this lies with Borges, who describes the saratan’s activities but neglects to mention that it is a gigantic crab. He quotes a Spanish translation of Al-Jahiz by Palacios which converts saratan to “zaratan”. Oddly enough, the English translation of Palacios’ text uses the more reasonable transliteration of “sarathan”. 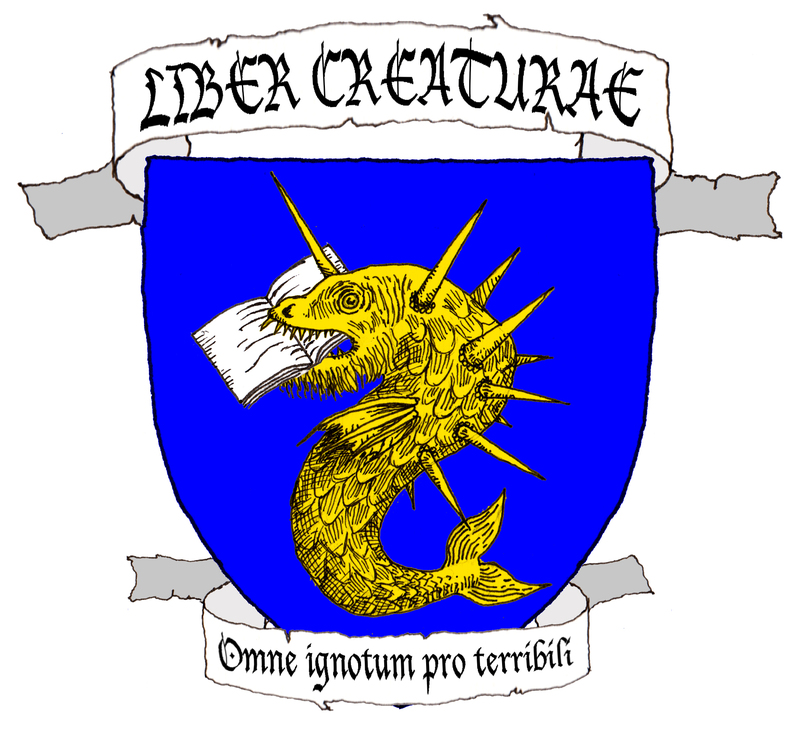 In either case, Palacios does describe this monster as a “certain crustacean of the sea” (“cierto crustaceo maritimo”), a fact that Borges omits. Borges, J. L.; trans. Hurley, A. (2005) The Book of Imaginary Beings. Viking. Al-Jahiz, A. (1966) Kitab al-Hayawan. Mustafa al-Babi al-Halabi wa Awladihi, Egypt. Palacios, M. A. (1919) La escatologia musulmana en la Divina Comedia. Estanislao Maestre, Madrid. Palacios, M. A.; Sunderland, H. trans. (1926) Islam and the Divine Comedy. John Murray, London. Flaubert derived Aksar from Bochart’s Hierozoicon. The original Aksar is far stranger than Flaubert leads us to believe. Aksar is a monster of the apocalypse from Arabian legend. He is sixty cubits (almost 30 meters) long, and has the head of an ox, the eyes of a pig, the ears of an elephant, the antlers of a stag, the neck of an ostrich, the forequarters of a lion, the hindquarters of a cat, the tail of a ram, the legs of a camel, and the color of a leopard. There is no mention of any python characteristics. God dragged Aksar out from his lair and brought him before Moses, who was greatly alarmed and requested the beast be removed from his sight. At the end of days, it is said Aksar will fly out with Moses’ staff, using it to mark people’s faces as “believers” or “unbelievers”. There are some who say there is more than one of these creatures. Those people are hopefully mistaken. Thompson, J. W. (1921) The Lost Oracles: a Masque. W. M. Mill, Chicago.